It is officially June and that means Weddings!!! Have you made your congratulations cards yet? 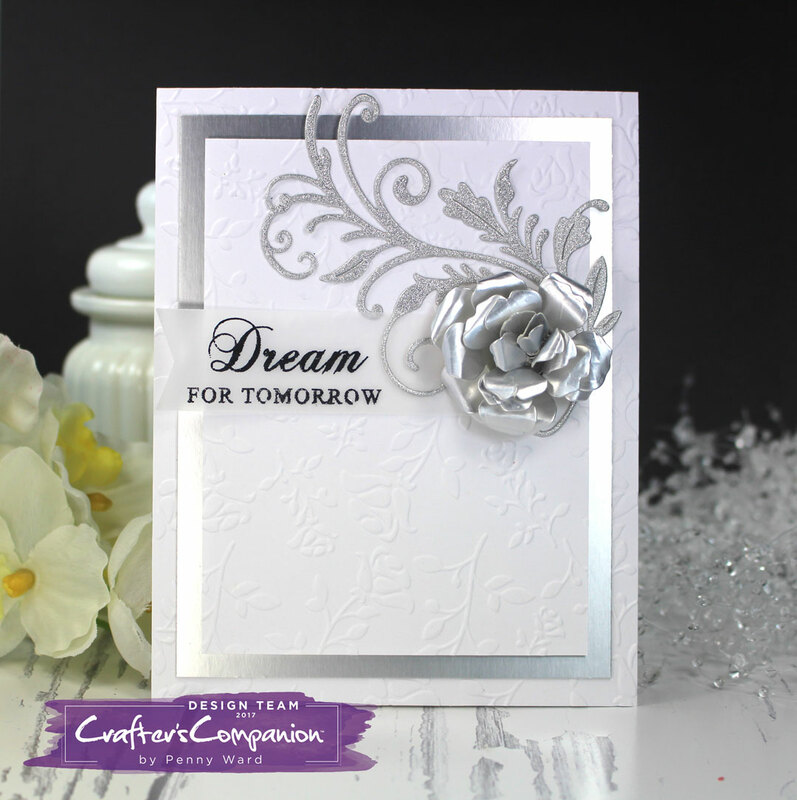 How about a simple Silver and White creation? White embossed backgrounds with a panel of Matte Silver Metallic paper. 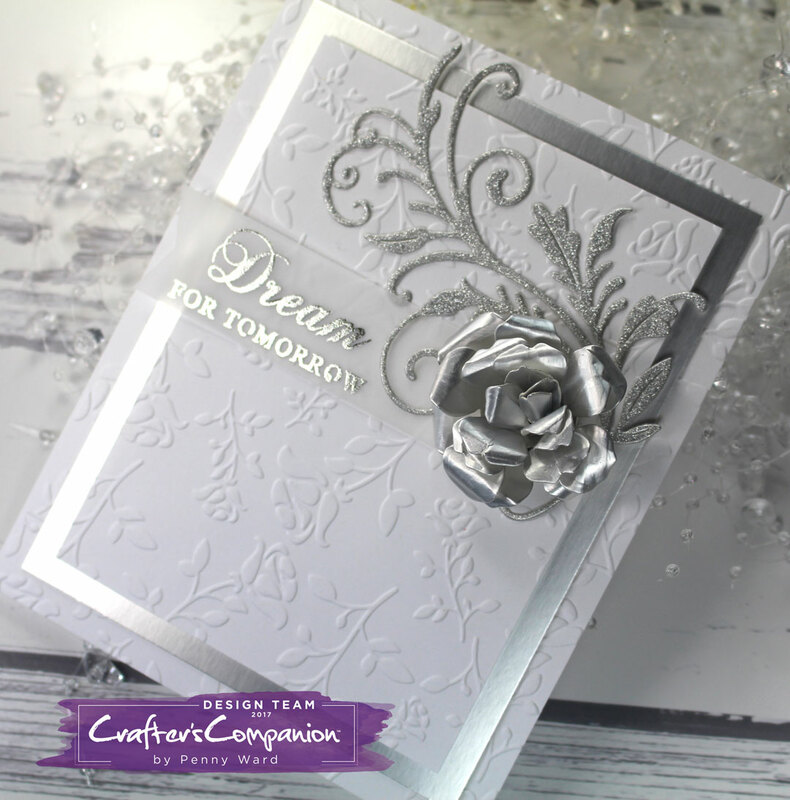 Silver Glitter paper for the flourish and Silver Mirror cardstock for the Aged Rose die cut. 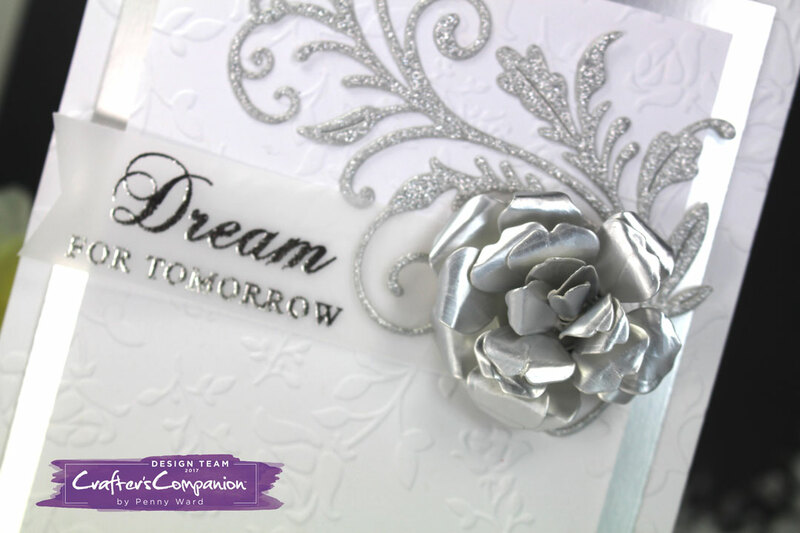 A beautiful Foil Transfer sentiment onto Vellum and you have a card made in mere minutes that any bride & groom would appreciate.